Management of Ancol Taman Impian, North Jakarta, is facilitating high-achieving students to have an excursion for free.
" Achievement Card holder can freely enter Ancol, Dunia Fantasi, Atlantis Water Adventure and Ocean Dream Samudera, and others"
PT. Pembangunan Jaya Ancol Communication Manager, Rika Lestari said that her side will facilitate high-achieving students through Achievement Card (Kartu Prestasi) program. 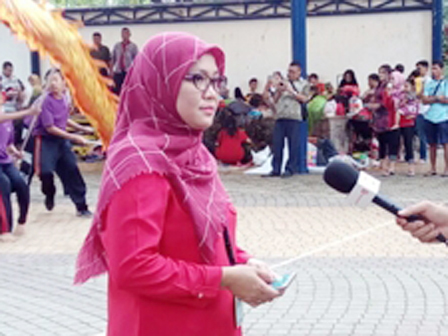 "Achievement Card holder can freely enter Ancol, Dunia Fantasi, Atlantis Water Adventure and Ocean Dream Samudera, and others," she said, Sunday (8/13). According to her, there were 85 students who got Achievement Card in 2016. Meanwhile, there are 118 students in total now. "We only give Achievement Card to students until class 5 in elementary school," she informed. She explained, students who want to get this card can visit Ancol Taman Impian management office and show the proof such as school grades, trophy or certificate for non-academic achievements. "Students must come along to be photographed. We only charged Rp 100,000 as a replacement for card administration fee," she said. She hopes, Ancol as a recreational site can also contribute in education through this program. "Ancol can be a recreational site yet educational, especially for children," she closed.